DJI Zenmuse H4-3D Brushles Gimbal. 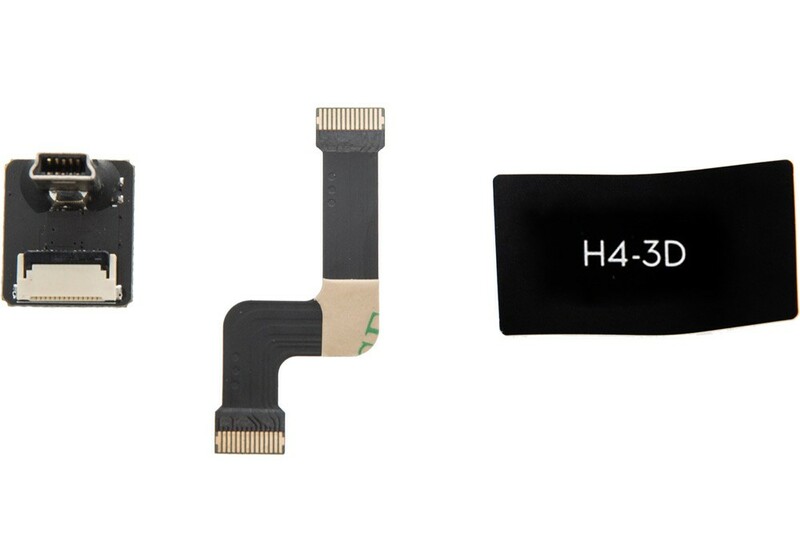 The Video Output from the GoPro Hero 4 is delivered by this ribbon cable and provides the link between the GoPro Hero 4 and H4-3D gimbal body, the video is transferred from the GoPro camera to the gimbal and then on to the video transmitter for real time video viewing for either First Person View flights or framing for aerial photography. On the back of the H4-3D gimbal there is a black H4-3D sticker, remove this as it is covering the ribbon cable connection in to the H43-3D. You will then flip up the small black lever on H4-3D connection and remove the ribbon cable from the back of the H4-3D zenmuse. To replace the cable follow the steps in reverse. Make sure that once you have connected the new cable to the H4-3D, the small black levers are flipped down to lock the cable connectors in place.